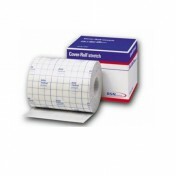 The Cover-Roll® Stretch 45552 by BSN Medical is a fixation dressing available in a 10-yard roll. It offers a 2-inch width to secure primary wound dressings over exuding wounds or surgical sites. The roll features useful gridlines on the backing to cut the dressing to size which reduces waste. 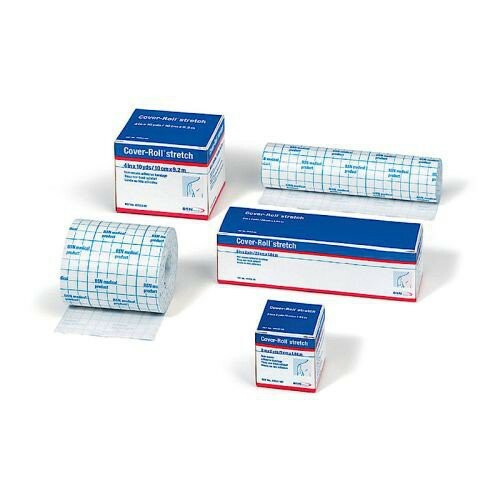 Cover-Roll® Stretch adds light compression to the primary dressing such as a Biatain Foam Non-Adhesive dressing that effectively absorbs wound exudate. 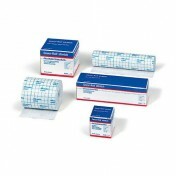 The Cover-Roll® adhesive fixation dressing supports a moist wound healing environment to compliment the primary dressing. Its permeable film releases moisture vapor as needed to minimize maceration and promote faster healing. Above all, Cover-Roll® Stretch dressings are made with a latex-free bendable construction to conform well the body parts that move. This makes movement less rigid with added confidence in its strong polyacrylate adhesive.